BAC presents the North European debut of The Mobile Archive, an international assemblage of over 1000 pieces: art videos, documentation, documentaries and witness reports compiled by the Israeli Center for Digital Art, Holon with the goal of facilitating research and cultural exchange. 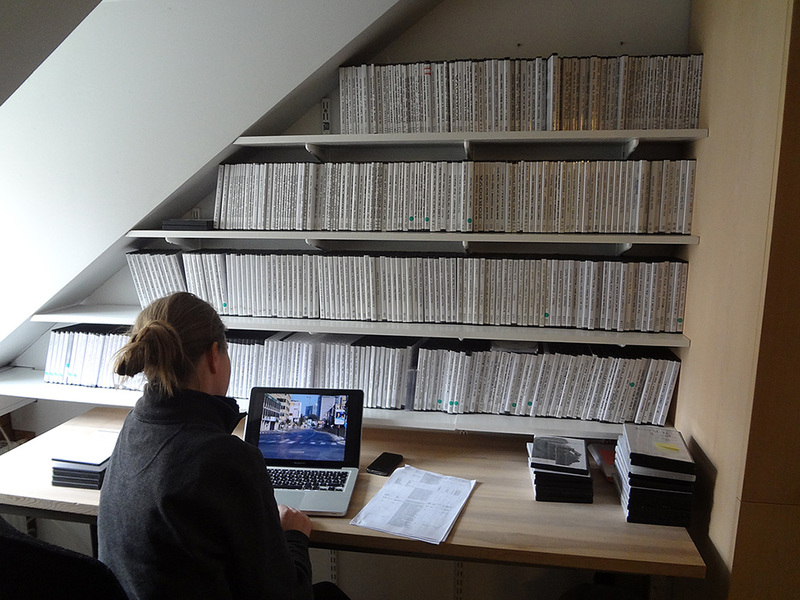 The Mobile Archive is a project initiated in March 2007 and developed by Eyal Danon and Galit Eilat as a sister project to the Israeli Center for Digital Art’s Video Archive with Eva Birkenstock from the Kunstverein, Hamburg. It comprises over 2000 video and multimedia works from the Center with a strong focus on issues of identity and body politics, nationalism, and militarism, and include artists such as Oreet Ashery, Yael Bartana, Guy Ben-Ner, Michael Blum, Candice Breitz, Amit Goren, Dor Guez, Mark Lewis, Avi Mograbi, Yoshua Okon, Roee Rosen, Ruti Sela and Artur Zmijewski. The Mobile Archive has been shown at exhibitions, conferences, festivals and university classrooms, often accompanied by artist talks, curated screening programs, and discussions. Hosts so far have included: Kunstverein Hamburg, Germany; WYSPA Institute of Art, Gdansk, Poland; Gallery Nova, Zagreb, Croatia; Universita luav di Venezia, Venice, Italy; Halle fur Kunst, Luneberg, Germany; The Newbury Gallery of The Glasgow School of Art, Glasgow, Scotland; Careof e Viafarini, DOCVA, Milan, Italy; Art in General, New York, USA; Stacion Center for Contemporary Art Prishtina, Prishtina, Kosovo; Centro da Cultura Judaica, Sao Paulo, Brazil; Kunsthaus Baselland / Dreispitz, Basel, Switzerland; VAC – UT Austin, Texas, USA; Tranzitdisplay, Prague, Czech Republic; steirischer herbst Festival, Graz, Austria and Leeds Metropolitan University, Leeds, UK. The Mobile Archive is conceived of as a continually expanding resource and all the above-named institutions have contributed new video works to the archive as it tours. The Israeli Center for Digital Art is a dynamic platform for researching, producing and analyzing contemporary art, as well as providing a meeting point for exchange between contemporary artists, curators, critics and the public. The center is a not-for-profit organization supported by the city of Holon. As a public art space it constantly questions the place of art and art institutions within their society. This brings the political and social to the forefront. In an effort to stimulate discourse in Israeli society, the center devotes a significant part of its work on art projects that foster questions about identity, ethnicity, class, nationalism and cultural exchange. will be open to the public from August 16 until the end of October at BAC’s premises. Please check the website for visiting hours and the detailed program.